Four M Group Services businesses have been presented with prestigious Occupational Health & Safety Awards by the Royal Society for the Prevention of Accidents (RoSPA). The awards were presented in recognition of achievement in health and safety management systems, including practices such as leadership and workforce involvement. 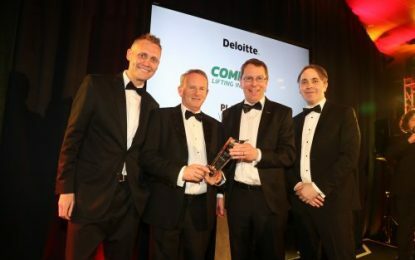 Morrison Utility Services (MUS), the UK’s largest dedicated utility service provider, was named Winner of the Commercial Industry Sector Award. It is the eighth year in which MUS has won the Sector Award, underlining the consistently high standards in health and safety that the organisation has achieved over the years. 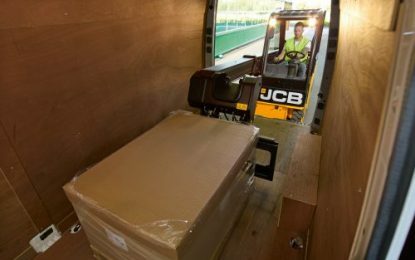 Dyer & Butler, a specialist engineering service provider to transport infrastructure asset owners including airports, underground, rail and highways, was presented with the President’s Award (its 13th consecutive Gold Award). In addition, Dyer & Butler’s rail team achieved a Gold Medal (its 7th consecutive Gold); Dyer & Butler Electrical, which specialises in delivering mechanical and electrical projects within airport, petrochemical, rail and industrial environments, achieved a Gold Award (3rd consecutive Gold); President’s Awards were presented to Dyer & Butler’s airport teams in conjunction with clients, Heathrow Airport Ltd and Gatwick Airport Ltd (13th consecutive Gold for both). Morrison Data Services, a leading data services provider to energy and water utility retailers in the UK and Ireland, was presented with a RoSPA Silver Award. M Group Services Plant & Fleet Solutions received the RoSPA Gold Award for Fleet Safety, in recognition of its support operations across all M Group Services businesses, providing commercially effective vehicles, plant and specialist equipment and ensuring that they are safe, compliant and fit for purpose.